Cleared for publication: The Tel Aviv District Court on Thursday lifted a gag order placed on a highly sensitive security affair, accusing Walla website reporter Anat Kam of allegedly compromising state security. The case has received mass media coverage worldwide. 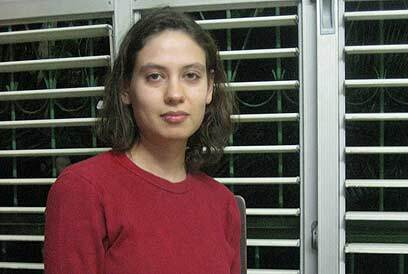 Kam, 23, was indicted on various espionage charges, which under Israeli law are punishable by life imprisonment. A comprehensive gag order was placed on the case in order to allow officials to complete their investigation; however, the massive foreign media attention had the court amend the order to a partial one, which still prevents some of the details from being published. According to details made available, Kam, who worked as a reporter for the Walla news website, allegedly copied over 2,000 classified documents during her military service, which she spent at then-GOC Central Command Yair Naveh's office. According to the indictment, Kam gave some of the documents to Haaretz reported Uri Blau, who used them in a series of features he wrote about target terrorist assassinations published about 18 months ago. Sources in the State Prosecutor's Office told Ynet Kam has not contested the accusation, while Blau left Israel prior to her arrest and has yet to return. Shin Bet Chief Yuval Diskin briefed Israel's newspapers' editors on the matter Thursday morning, saying the case had the potential to cause "grave damage to state security," considering the chances that the highly classified documents may end up in enemy hands. The Shin Bet, he added, is making every effort to retrieve the remaining documents, which he defined as "highly classified" and "the kind that any intelligence agency would be delighted to get its hands on." On November 28, 2008, Haaretz ran a feature written by Blau about targeted assassinations by the IDF in the West Bank, executed in violation of High Court orders. The feature, which claimed that senior GOC Central Command officers decided to ignore court ordered and proceed with the hits even when arrests could be made, was based – according to the indictment – on documents Blau received from Kam. The feature also claimed that high ranking IDF officers, including the chief of staff, sanctioned the orders, including the potential loss of civilian lives during the operations. Then-IDF chief and Attorney General Menachem Mazuz ordered the Shin Bet and the military's Information Security Department to investigate, locate and retrieve the classified documents and the person who leaked them. Haaretz was also contacted and after negotiations with the newspaper's legal counsel, Adv. Mibi Moser, Blau agreed to surrender "any document which may compromise security." In September 2009 he turned over some 50 documents and also erased them from his personal computer. The Shin Bet continued investigating and in December 2009 found that Kam had leaked the documents. According to the case file, Kam, who served as an assistant then-GOC Central Command Yair Naveh's office, copied thousands of documents onto a CD, and then to her personal computer. The documents, in various classification levels, included operational military information, security and situation assessments, meetings' minutes and protocols, highly sensitive intelligence information, orders of deployment and battle, drill briefings, and warfare doctrines for the West Bank. In his media briefing, Diskin stressed that the material stolen was "super classified" adding that should they end up in enemy hands "it would effectively endanger the lives of IDF soldiers and Israeli civilians. You don't have to be an information security specialist to understand the potential danger," he added. The investigation further revealed that in 2008, once released from the IDF, Kam attempted to interest a different reported in the documents, but her move never matured into a published piece. She later contacted Blau and gave him a large portion of the documents which he used in his features' series. All of the featured were submitted to the Military Censor's review prior to publication, and the published pieces included only the approved portioned. It was only when the Shin Bet questioned Kam that investigators realized the vast difference between the some-2,000 documents Blau was given and the 50 he actually used. Blau was promptly recalled for questioning and the Shin Bet demanded he return all the material he had. Blau left Israel for China and London in early 2010. The Shin Bet and Moser failed to reach an agreement as to his return, which eventually lead to the court's decision to lift the gag order. Nevertheless, sources in the State Prosecutor's Office and the Shin Bet said the order's lifting had nothing to do with Blau, since the story had already broken in the foreign media. Anat Kam was indicted on January 14, on multiple counts of espionage, divulging classified information and compromising national security. She was placed under house arrest, which the State asked be in effect pending the conclusion of the legal proceedings. The prosecution claims that Kam's actions coincide with the Penal Code's definition of "grave espionage," which carries life imprisonment sentencing. Kam's attorney, Avigdor Feldman, claimed that his client actions were "ideologically motivated" and that she never meant compromise state security. Nissim Duek, a public relations specialist in Kam's service, said that "there is a very big gap between media reports and the facts which will be revealed in court. The fact is that the court decided to place Kam under house arrest, despite the State's request to place her I police custody, and allowed her to keep working as a reporter. "Kam was exposed to documents together with hundreds of other junior soldiers, which begs to question if they were indeed that classified. How can one explain the fact that she was arrested over a year after the article's publication? The defense establishment is trying to paint her as an enemy of the state, which she is not." The foreign press, which does not have to abide by the Israeli court or censorship orders, has been covering the case extensively. 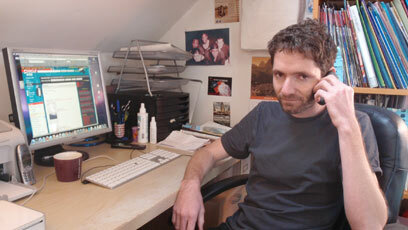 The British Independent reported that journalist Blau left for Asia about three months ago and is now in London. According to the paper, Haaretz was negotiating the terms of his return with the State Prosecutor's Office. Contrary to prosecution's claims of Kam's confession, the Independent reported that she has denied all charges. Haaretz Editor in Chief Dov Alfon told the British newspaper, "Haaretz has a 90-year-long tradition of protecting its reporters from government pressures, and Uri Blau is getting all the help we can provide him with." Pulitzer Prize winner and New York Times journalist Judith Miller also addressed the affair in her blog, writing that Blau was staying in London in order to avoid a Shin Bet investigation regarding his sources in the case. "What is being called the 'Anat Kam affair' has produced its own anomaly: Since details about the inquiry have begun spilling out into the non-Israeli press, Israelis can only gossip about what the non-Israeli media are reporting. Violating such gag orders in Israel can result in severe financial penalties for Israeli newspapers and magazines and jail for editors and other media executives," Miller wrote. She noted that parts of the affair have not been disclosed and "are said to be enormously sensitive". According to Miller, news of the investigation and the house arrest was initially reported on March 15, on Richard Silverstein's "Tikun Olam" website. She said Israeli censors were "notoriously fickle" and that the courts were traditionally responsive to their requests for blocking the dissemination of information that might jeopardize or harm Israeli security. "Israel, like the United States at the federal level, also has no shield law that protects journalists from being forced to reveal the sources of their stories," Miller wrote. She mentioned an affair which took place shortly before the election of Ariel Sharon as prime minister in 2003, when Israeli prosecutors launched a secret inquiry into who leaked information about a story published by Haaretz into alleged illegal payments to Sharon. "Israeli prosecutors repeatedly asked journalist Baruch Kra about the source of the story, but Kra refused to reveal that information. The source was eventually identified, however, when Israeli officials obtained a court warrant authorizing their inspection of his telephone records." See all talkbacks "Journalist accused of leaking secret IDF documents "